You Are Here: Home » holidays » Erin Go Dog!! 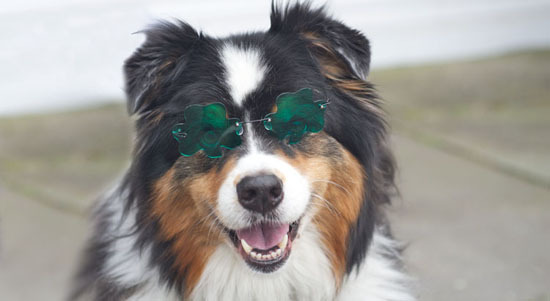 I’m seeing the world through emerald-colored glasses today. A Happy St. Patrick’s Day to you and yours!! One Response to Erin Go Dog!! Now there are two stars in the family. 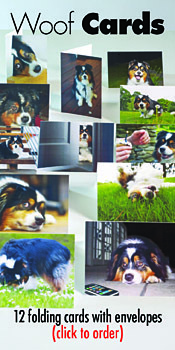 The story of A Man for Joe, her brother, has just come out in the Australian Shepherd 2011 Annual. Contact Hoflin Publishig 303-420-2222 should anyone want a copy.